← Finnish version of “Climate Gamble” now out! English version of Climate Gamble now out! 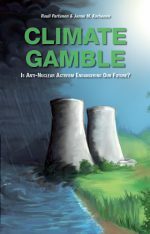 The expanded, enhanced and excellent English edition of our book, Climate Gamble, is now available from Amazon.com. In its 108 pages and plentiful illustrations, we explain why there is strong reason to believe that anti-nuclear activism is playing a huge gamble with the climate and therefore with the future of our common planet. We show, for example, that even the most optimistic IPCC assessments of renewable energy potential fall short of the same authority’s estimates of future energy use; that climate mitigation scenarios that do not include nuclear energy necessitate energy generation build-up rates that have never been equalled with any combination of technologies; and that even today, the greatest achievements in decarbonization were achieved entirely by accident by countries that simply built new nuclear power for unrelated reasons. We also show how many anti-nuclear arguments are based on ignoring the context and avoiding any serious comparisons to other alternatives – or, in some cases, on straight-out falsification of statistics. Nuclear energy can be dangerous if mishandled, but even at its worst it is far from the horror it is popularly imagined to be. However, the book is by no means an uncritical apology to nuclear energy or a tirade against renewables. Both of the authors support strong renewable energy deployment – much stronger than what has been seen so far – and in fact we claim that renewables are going to be the key element in any credible decarbonization scenario. 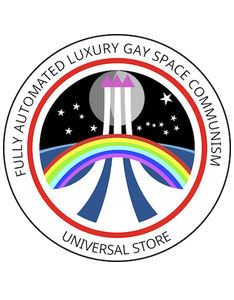 Our critique is aimed at the idea that we have the luxury of picking and choosing only the alternatives we like. At this point, we are most probably going to need all the options we have, and even then, climate mitigation is going to be a tough fight. If we leave out the most effective single low-carbon energy source at our disposal, it’s not going to be a fight but a reckless gamble: a gamble that bets the future of livable Earth on that everything goes as well or better as in the most optimistic forecasts, and that no unwelcome surprises of any sort crop up. The Finnish edition of the book was published in March 2015 and garnered very positive reviews. Even members of the anti-nuclear Green party have stated that the book is a “must read” for anyone interested in energy and environmental issues. Order yours here and see what I’ve been busy with the last months; the Kindle edition is out, and for those who prefer to store carbon in form of dead trees, a book-on-demand print edition will soon follow. You probably should also follow the book’s web page, Climate Gamble, and its Twitter account, @Climate_Gamble. The web page will host, for example, the graphics used in the book; for example, see this post on the share of low-carbon energy since 1965. For review copy, contact me or send an e-mail to climategamble@gmail.com. We’re more than happy to oblige for anyone blogging on energy or environmental issues, for example! By the way, we’re planning a crowdfunding campaign to get a copy of the book to everyone attending the Paris climate negotiations this year. Stay tuned!